It features previews , latest news and general stuff of interest. During the festival fortnight myself and friends such as Anna Chen are planning to post daily updates including news, reviews and anything else of interest. Lots of video, photos, interviews with performers - we want to make it multimedia and interactive. If you'd like to be featured let us know. We're hoping to make the blog as interactive, media rich and informative as possible. Please get in touch if you have any ideas or comments. Michael Janisch - St Ives Jazz Club - Tuesday 1st September. I can't believe how quickly another week has gone by. August Bank Holiday weekend is always the "high tide" of the season, after which town will get much quieter. September is one of my favourite months here and the festival is almost upon us. Tonight (29th) there is a Karaoke Party at The Lifeboat Inn. Starts at 9.00pm. Free entry. On Sunday (30th) night Willie and the Bandits are on at The Queens. On Monday (31st) you might check out Crispin Williams' exhibition at St Ives Arts Club. I went to the private view last night - a really interesting collection of work and reasonably priced. Well worth a visit. Open daily 10.00am - 4.00pm until Thursday 3rd September. On Tuesday (1st) St Ives Jazz Club are staging Michael Janisch Quintet at The Western Hotel. 'One of the UK's most exciting new improvisers with percussive, Mingus-like power’. The Guardian. Doors open at 8.00pm, music from 9.00pm. Entry: £9.00 / £6.00 (members). On Wednesday (2nd) you can join the Ghost Walk. Visit various spooky locations around St Ives, steeped in authentic and ghostly tales. Meet at St Ives Guildhall at 8.30pm. Cost: £5.00 (adults), £3.00 (children under 14). On Thursday (3rd) St Ives Farmers Market is open at St Ives Backpackers from 9.30am - 2.00pm. A great selection of fresh local produce. On Friday (4th) a new exhibition opens at St Ives Arts Club - Joie de Vivre. The vibrant lively paintings of Archa Boase and the quiet contemplative sculpture of Deryl Perucci. Open daily until Thursday 10th September 10.30am - 5.00pm plus some evenings. Heres the latest on the weather from the BBC. Looking quite nice this morning - but yet again looking uncertain for the week ahead. Autumn is definitely on the way early - I've already noticed how cool it is in the morning and evening. Looking forward to it - I love Autumn! September is a time when a lot of families with young children come down here. 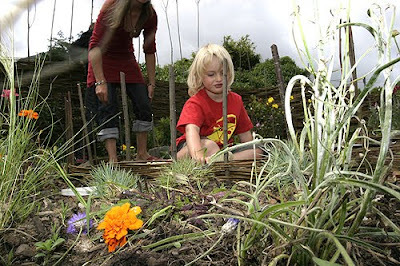 The prices for accommodation are much lower once the school holidays are over. Town is also a bit quieter and easier to get around with a pushchair. So I thought I'd do a quick guide for parents about things to do with the kids. We first started coming here when our girls were 2 and 9 years old. Beaches - all are great but maybe the best for youngsters is Harbour Beach. Its relatively small so you can keep an eye on them. Its close to the centre so we could take it in turns on watch while Jo went to the shops or I went to the pub. Ayr Field has a children's play area, butterfly garden and lots of space to run around. Run by a local community group who are planning to add more play facilities. Steeple Woodland Nature Reserve is another nice open space with lots to explore, although it is a bit of a hike up the hill. St Ives Library put on a fair number of events including story time and craft workshops. They also have a nice children's book section and you can borrow books using your local library ticket. Tate St Ives offers a family pack and a family trail for the Barbara Hepworth Sculpture Garden. St Ives Museum supply free children's workbooks to encourage them to explore the exhibits and entry for them is just 50p, only £1.50 for adults. Ceramica on Tregenna Place is great for both parents and children. You can paint your own plate or mug together and then get it fired in the kiln. Kids Play Zone in Carbis Bay has loads of stuff in their indoor play area, plus a coffee shop and bar for parents. Most restaurants and pubs are fairly child friendly, with children's menus. The Sheaf of Wheat probably offers the best value and a large menu. Finally both kids and parents will love Chocolat! - old fashioned sweets and a huge range of chocolate. Please add a comment if you've got any other suggestions to add to these. Another varied week of events ahead. Many of us - me included - are very much looking forward to the end of the main holiday season and a quieter September! We can then expect a better class of visitor as the middle classes and intelligentsia head to St Ives for the September Festival :-). 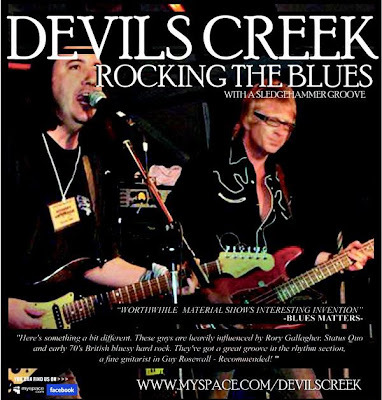 Tonight (23rd) you can catch Devils Creek at The Lifeboat Inn. Starts at 9.00pm, free entry. In their own words "Rocking The Blues with a sledgehammer groove." On Monday (24th) you might try a night at the movies - in the newly repainted Royal Cinema. I'm planning to catch The Time Travellers Wife, evening show is 8.15pm. Hope they've done justice to the book - unlike the indescribably awful Northern Lights. Tickets are £6.00 / £4.50. On Tuesday (25th) night - do something different! St Ives Knitters will be stitching and bitching at St Ives Library. All welcome - lots of help available for beginners. Starts at 7.00pm, free apart from contribution to the coffee fund. Run by my wife Jo. On Tuesday (25th) and Wednesday (26th) Soggy The Bear is back at the Arts Club. A wonderful production designed to introduce young children to the wonders and joys of theatre. Performances at 10.00am and 11.30am - bring a teddy. From: St Ives Theatre Box Office - 01736 797007. On Thursday (27th) Cafe Frug is at the Arts Club. Anything can happen - poetry, music, prose readings, films, comedy. Led by the inimitable Bob Devereux. Doors open sometime around 7.30pm. Tickets on the door are £4.00 or £2.00 for club members. On Friday (28th) there are two art workshops at St Ives School Of Painting. Personal Art Practice - with help and guidance available from an experienced professional tutor. No need to book - just turn up 10 minutes before the start time. Morning workshop 10.00am, afternoon workshop 1.45pm. Cost is £8.00 for each. I'll be featuring a selection of stuff each week - with fuller listings on my calendar. As ever I'll shamelessly plug events that I've got an interest in. Next week sees the opening of a new exhibition at St Ives Arts Club. 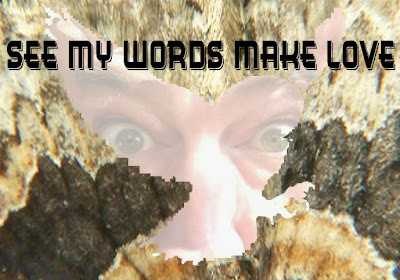 See My Words Make Love. An exhibition of images and words by artist and poet Crispin Williams. Word meets image in an explosive creative collision. Crispin Williams lifts his poetry off the page and spins his words into striking visual crystallisations of colour and form. These unusual pieces are expressed through a range of media including sculpture and digital art. Crispin explains, ‘I’m in a process of integration, pushing words into my art and allowing my visual work to play with the images in my poems. But it’s more than just illustration and ekphrasis, words can be images and images can be words, It’s not easy to totally merge words and images without destroying one or the other but in a some of the pieces I’m reaching towards elements of fusion’. Runs from Thursday 27th August - Thursday 3rd September 2009. Open every day 10.00am - 4.00pm. I know I've posted this more than once ... but ... its is going to be a brilliant show so be there ! Opens tomorrow - Wednesday night (19th August) on The Island. New video from dress rehearsal tonight - above. Then on stage Thursday - Saturday. Gates open 6.30pm performance starts 7.30pm. Tickets £6.00 from St Ives Tourist Information. Or £7.50 on the gate - under 7s free. 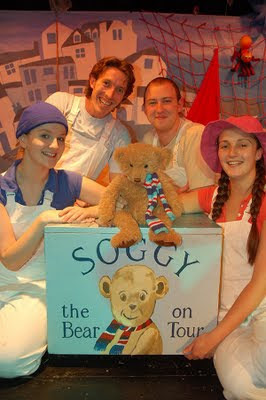 Performances of the wonderful children's show Soggy The Bear continue through August at St Ives Arts Club. Adapted for the stage by Sarah Lincoln from the books by Philip Moran and Michael Foreman. The story of a Teddy Bear - how he was lost, then rescued, given his name and found a new home and friends. This Cornish tale by Master Mariner Philip Moran has become an instant classic for younger children. Dramatised for the first time, with the support and help of the authors, Soggy is the perfect introduction to drama for young children, as well as helping them understand an important safety message - never go near water on your own! Suitable for children aged 3 - 8. Duration 50 mins approx. Wednesday 19th, Thursday 20th, Tuesday 25th and Wednesday 26th August. Two shows daily at 10.00am and 11.30am. Tickets are £5.00 - available from St Ives Theatre Box Office. Open daily 10.00am - 4.00pm or call 01736 797007. Soggy then moves on to Penlee Gardens Penzance. Wednesday 26th August at 4.00pm. Tickets are £8.00 (one child and one free adult). Available from The Acorn Theatre Box Office. Open 11.00am - 3.00pm or call 01736 365520. Finally - a special performance in the spectacular setting of The Minack Theatre. Tuesday 1st September at 11.30am. £3.50 (adults), £1.40 (under 16), £2.50 (over 60), Free (under 12). 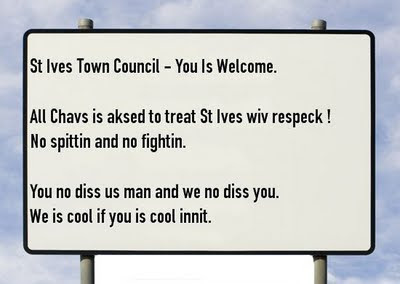 St Ives Town Council Equality and Diversity Committee are becoming concerned that some visitors, particularly those for whom English is a second language, are finding signage around town confusing and hard to understand. They've decided to commission a team of translators to address the situation. New signs are proposed for the main entry points to St Ives on Tregenna Hill and The Stennack. The design brief is to keep these short, to the point and easy to understand. The first prototype is now available for public consultation - comment here to let them know what you think. Another look at the week ahead. As ever lots going on as the tourist season reaches its peak. 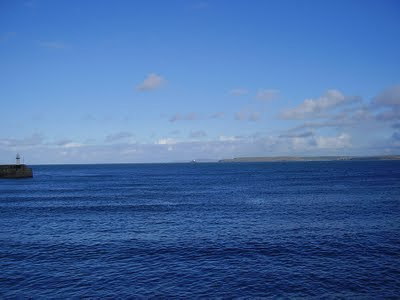 Many of us are now suffering from the usual St Ives "Augustitis" and are really looking forward to September and quieter times. Tonight Four Lanes Male Choir are performing on the harbour at the West Pier. Starts at 8.00pm. Free - donations requested. Tomorrow sees the return of Birmingham City Supporters Club Cornwall. We'll be meeting at The Three Ferrets to watch Man. Utd. vs Blues, kick off 1.30pm. On Monday night Freddy Zapp is back again with his karaoke night at The Sheaf of Wheat. Starts at 8.00pm, free entry. 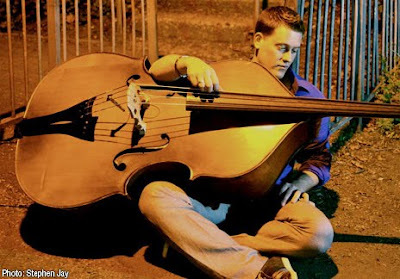 On Tuesday St Ives Jazz Club present Christian Brewer with Viv Rodd Trio at The Western. Doors 8.00pm music from 9.00pm. Tickets on the door: £9.00 / £6.00 (members). On Wednesday Romeo and Juliet opens in the spectacular outdoor setting of The Island. Take a blanket, picnic, bottle of wine and enjoy! Performances also on Thursday, Friday and Saturday night. Gates open 6.30pm, performance 7.30pm. Advance tickets: £6.00, under 7 s free. St Ives Theatre Box Office - 01736 797007. St Ives Tourist Information - 01736 798577. Also on the gate: £7.50, under 7s free. On Thursday the weekly St Ives Farmers Market is open from 9.30am to 2.00pm. A great variety of local produce including vegetables, bread, cakes, cheeses, chocolate and the amazing Ruby's curry sauces. On Friday night Heart and Soul are on at The Queens. Soul and funk. Free entry. St Ives What's On Calendar. Please send me details of anything you'd like to see featured. The opening of the Premier League season is almost upon us - can't wait ! Blues supporters will be meeting in St Ives at The Three Ferrets on Chapel Street for our first game against Manchester United. Sunday 16th August - kick off 1.30pm. 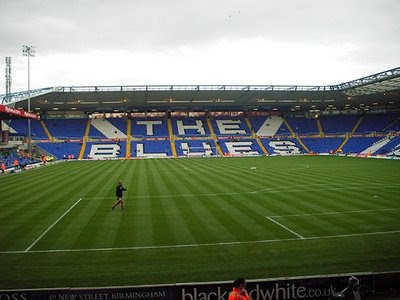 In September we'll be meeting for the big one - Blues v Villa. Sunday 13th September - kick off 12.00pm. After that we'll be meeting up whenever there is a Blues game on TV. If others are organising meets in their own local pub elsewhere in Cornwall I'll be happy to publicise them. The St Ives Community Play production of Romeo and Juliet opens next Wednesday (19th August) on The Island and runs until Saturday (22nd). 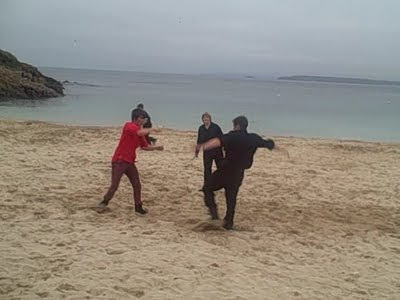 It moves to The Plen in St Just for one night on Sunday (23rd). It is then back during St Ives September Festival from Wednesday 16th - Saturday 19th September. Last night I was on set at rehearsal and filmed a run through of the opening scene - a huge fight on the streets of Verona between the Capulets and the Montagues. This is going to be a spectacular production - the set is quite something and is being assembled inside The Island Centre - I also got a preview of that last night. The costumes look amazing - with contrasting designs for the two Houses so you'll instantly recognise who belongs to each. There will be live accompaniment from St Ives Choir with original music written for the show. Take a rug, chairs, picnic, bottle of wine and enjoy a great evening - there is plenty of space to spread out on The Island and get a good view. Tickets are available now - £6.00 (under 7s free). Also on the gate every night - £7.50 (under 7s free). Its not been too good today - drizzle and town full of people trying to find something to do in the wet. Looking better now though and forecast for tomorrow is better. I'll be moving the festival previews from here to there in due course, then adding more. During the festival we'll feature daily updates including the latest news, gossip and videos. Please check it out and subscribe. The Arts Club on Westcott's Quay overlooking the harbour is one of my favourite venues. A small theatre with space for only 40 - 50 people which creates a great atmosphere. Tickets are generally reasonably priced and you can also take your own wine / drinks. The programme for September is really varied - talks, music, movies, theatre and cabaret. As ever the wonderfully designed "official" festival web site is only listing a selection of events - this may be simply because there is a lot to put on the site and it takes time. Otherwise they may be only listing what they regards as "official" events - although exactly what makes something "official" as opposed to "unofficial" I have still to work out. The printed Arts & Literature programme also fails to list everything - though to be fair they did have to go to print a while ago before all events were confirmed. So I'll start with some of the events that aren't listed elsewhere. Saturday 12th and Wednesday 16th September at 8.00 pm. (Also Wednesday 9th and Friday 11th September at 8.00 pm). The Cook, the Thief, the Plot and One Other. An original play performed by Withpen Theatre Company. Six novice writers attend a retreat in a secluded location. as they learn more about themselves and each other, the classical unities of action, place and time begin to creep from the notebook and into real life. 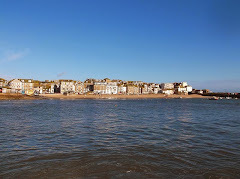 From: St Ives Tourist Information or call 01736 794550. Sunday 20th September at 7.00 pm. Anna Chen's one woman show about Hollywood's first Chinese movie star. Based on her BBC Radio 4 broadcast and complete with mulimedia and the Anna May Wong rap! Much more than your average talk. From: St Ives Tourist Information or contact me. Tuesday 22nd September at 7.00 pm. Everything I Know About Rock and Roll Part 3. A talk by legendary rock journalist and author Charles Shaar Murray. Woodstock Forty Years On - What It Meant - What It Didn't Mean. Charlie continues his popluar series of talks - taking us to 1969 and the "Summer Of Love". Wednesday 23rd September at 8.30 pm. Back to Back - Rod Bullimore and Martyn Barker. What happens when two Northeners meet for a drink in St Ives ? 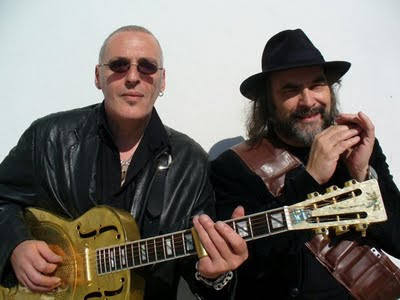 Find out when , for the third successive festival, St Ives poet/comedian Rod Bullimore, and Goole based singer songwriter Martyn Barker meet for another laid back evening of original comedy and music. From: St Ives Tourist Information. Thursday 24th September at 8.00 pm. The Big Frug hosted by Bob Devereux. The usual mixture of local performers - poetry, prose readings, comedy, music, film and anything else anybody wants to do. 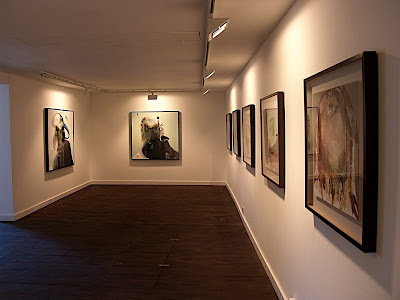 The Arts Club Members Exhibition is also open every day - free entry. Thursday 17th and Friday 18th September. Anything But Love - a play by Phil Bowen. A short season of classic black and white movies. Monday 14th September - On The Waterfront. Saturday 19th September - Casablanca. Monday 21st September - Some Like It Hot. Friday 25th September - Sunrise. There is the usual programme of talks and short documentary films and as details are on the official website I won't repeat them here. Be aware that there are some errors in the printed programme and on the website. For example the talk at St Ives Library about The Leach Pottery and its Otters ! It may be worth double checking if you're planning to travel for a particular event. Please do let me know if I've got any of these details wrong or I've missed anything. As ever - in line with my shameless blagging policy - comp tickets are much appreciated. 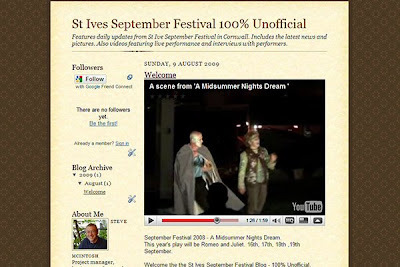 Coming soon - St Ives September Festival Blog - 100% Unofficial. More previews plus live news, video and pictures added daily during the festival. With the summer season in full swing there is even more going on than ever. Here's a selection for each day. David Whittaker - Brief Moment In The Exposure. I'm a great fan of David's work so I'm really looking forward to this. Have an invite to the private view and will be doing a review here later. The exhibition continues until 31st August. for children of all ages. Performances at 17.30 and 19.00. Tickets: £5.00 from St Ives Theatre - 01736 797007 - and on the door. On Tuesday night try the Ghost Walk - visit various spooky locations around St Ives. Departs from St Ives Guildhall at 20.30 and at 22.15. Cost: £5.00 (adults), £3.00 (children). On Wednesday night - Charity Shop Cabaret is at St Ives Arts Club. The South West’s leading exponents of delirious wit present a hilarious tour through Elspeth Garter’s charity shop. Tickets: £9.00 on the door or call 01326 378037 / 01736 787359. Cafe Frug returns in its regular spot at St Ives Arts Club on Thursday night. A mixture of poetry, prose readings, comedy, music, film, whatever. Doors open around 19.45 and entry is £4.00 or £2.00 for club members. On Friday night - The Vision - playing funk and rock covers - are at The Lifeboat Inn. Starts at 21.00, free entry.